Tamarind Buds, originally uploaded by ZackTwin. You will feel very excited when you see something which can relate to your good memories. I walked along the jogging track beside the lake… and I found a tamarind tree and I was so excited. It has new leaves and buds. 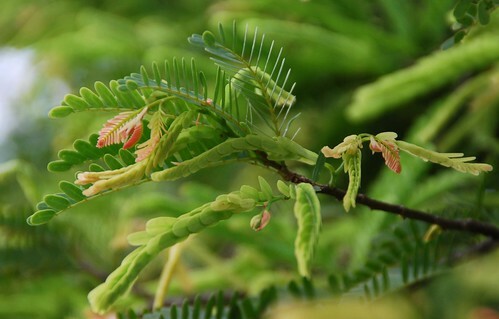 I was happy taking photos of tamarind leaves. It really makes me to remember my home town, my mom and my mom’s cooking. She would make a salad with those tamarind buds, butter bean and onion. That salad is very simple yet very delicious. I miss you, mom… and your delicious home cooking. did u pluck some to bring home and make into salad?